In recent weeks, the official Supporters Club has organised peaceful protests against the owner after a vote of no confidence was passed. The Supporters Club are upset at the direction of the club, the lack of funds made available and the rejection of bids from local busines Synectics Solutions. 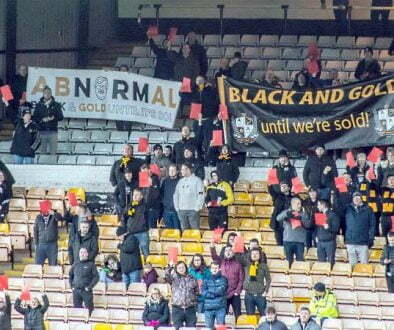 As a result there have been banners, marches and red card protests plus the reformation of the Black and Gold protest movement. However, Smurthwaite has told the Sentinel that the protests are damaging the club and have cost the club a sponsorship deal. Owner Smurthwaite told the Sentinel: “I did ring [a member of the Supporters Club] to ask ‘what is the morality of asking fans to support a campaign which is damaging the club beyond repair? “I phoned up today because I felt it was morally wrong for them to set up a funding page to help their campaign when their campaign has itself done irreversible damage to Port Vale Football Club. “The football club have lost a major sponsor which was contractual, from July 1, for £500,000 for a three year deal. That £500,000 was going towards funding a new pitch for Port Vale. “It started with the inappropriate chanting at Crawley where the person in question was a guest of mine. Then the actions of the supporters club. “I said the damage they are doing is irreversible and I felt it was morally wrong that they tap into fans’ pockets to do something when the cost of their damage could be irreversible. Mr Smurthwaite refused to name the sponsor to the Sentinel newspaper and said he financially supports the club during the close season and doesn’t use money from season ticket sales until the start of the new season. He added he would comment more on his plans in April. 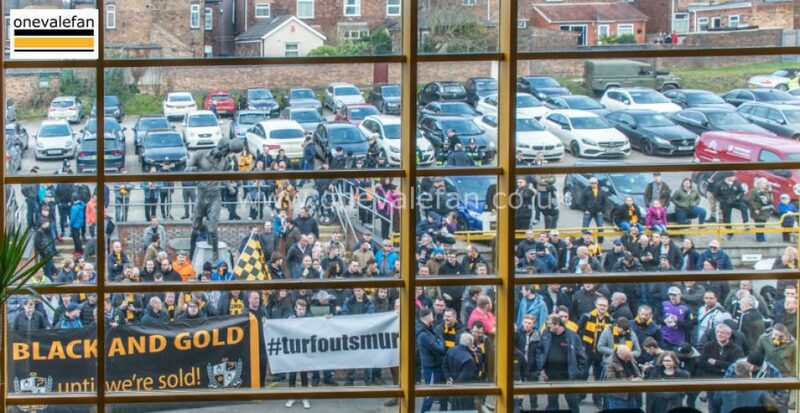 The group added in comments to the Sentinel newspaper that: “The Black and Gold group are very disappointed to learn that Mr Smurthwaite has made these allegations of morally unacceptable behaviour against supporters. 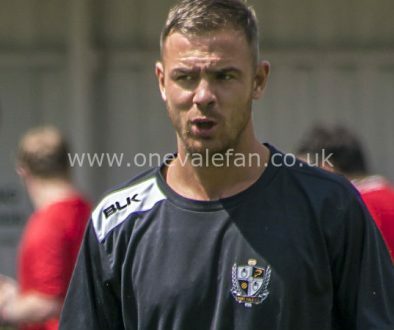 “We are not sure how our campaign has damaged Port Vale by losing the club a major sponsorship. We would respectfully point out that Mr Smurthwaite informed us of this lost sponsorship before any of the protests had taken place at Vale Park. “We also note with interest that Mr Smurthwaite has not been prepared to name the lost sponsor. 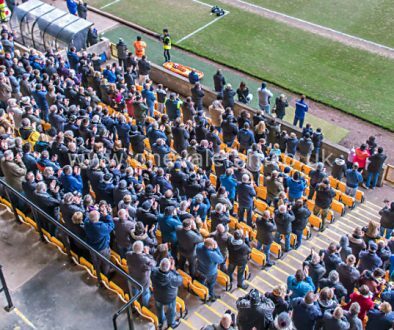 It would be very easy to make a strong case for the considerable damage being done to the club, both on the pitch and its reputation off the pitch, by Mr Smurthwaite before any protests began. “Mr Smurthwaite has refused to tell the Sentinel of his plans beyond April and has talked of the possibility of placing the club in the hands of an insolvency practitioner. We find this difficult to understand in view of the considerable income the club has received from a variety of sources this season which should be enough to see us through the close season. Chairman Mark Porter told the Sentinel: “The Chairman accused me previously of losing a large sponsorship because of my comments. I have never said anything about the club that has not been truthful and honest and all I have ever done is act on the wishes of the Supporters Club members.